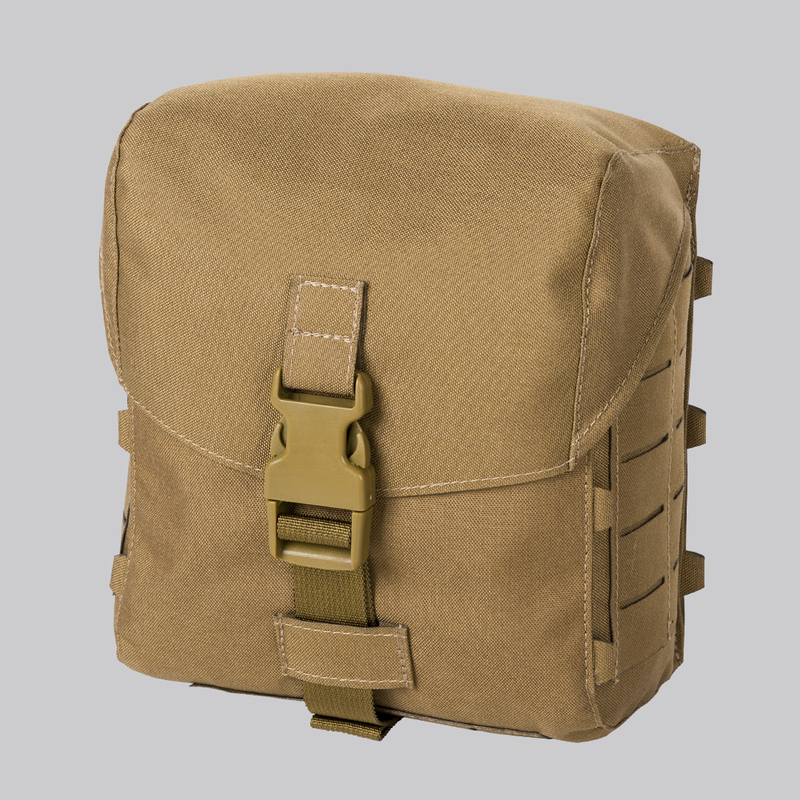 Large multipurpose pouch to be worn on the rear part of the MOSQUITO Modular Belt Sleeve or similar belt setup. Substantial pouch capacity allows to pack all essentials, and drawstring collar secures the contents, while buckled flap keeps debris away. Modular panels sewn to the sides and bottom allow additional gear to be added. Side loops take elastic cord to reduce the empty volume. Modular panels at sides and bottom.